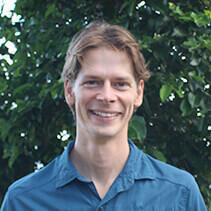 Phillip Hannon serves San Diego Zoo Global as a Research Coordinator in Recovery Ecology. In this role, his primary responsibilities include the development and implementation of a rear-and-release program for the critically endangered aga, or Mariana crow, on Rota in the Northern Mariana Islands. Phil’s current projects include overseeing the construction of the new facility, caring for captive aga, monitoring the release of rehabilitated aga, and conducting education and outreach activities. Phil has worked with the aga on Rota since 2009, studying the causes of decline in the wild population and initiating a rehabilitation and rearing program for injured or orphaned aga. Phil specializes in the captive management of raptors and corvids. Within his current work, he is interested in understanding how different rearing and enrichment techniques affect the success of individuals after release in the wild. Additional interests include the design of aviaries to promote appropriate flight and foraging behaviors, and the design of optimal diets for captive birds. Phil earned his bachelor's degree in Parks and Recreation from the University of Missouri, with an emphasis in natural resource management. Prior to beginning work on Rota, Phil spent two seasons radio-tracking harpy eagles in Belize and completed service in Peace Corps Ghana. Here he partnered with local people on sustainability in agroforestry practices. He was awarded a USAID grant for his work in sustainable economic development with a village women’s group. When not working with birds, Phil enjoys free-diving, hiking, and gardening.